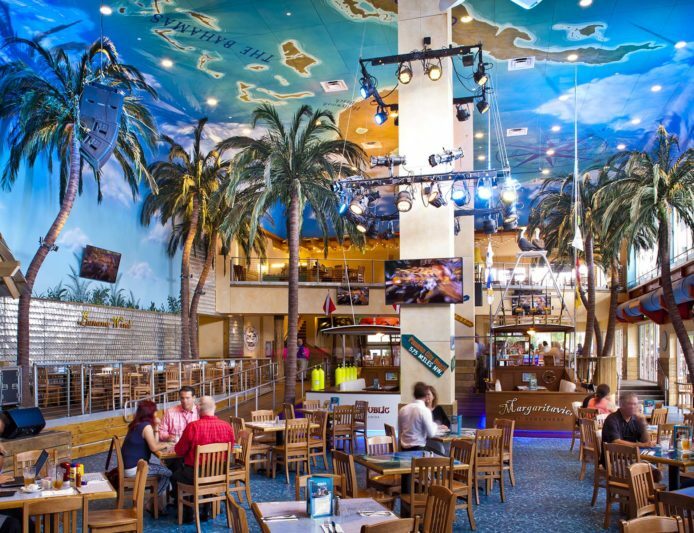 Health-conscious diners can now enjoy lighter menu options at Margaritaville Restaurant at Margaritaville Hollywood Beach Resort in South Florida. 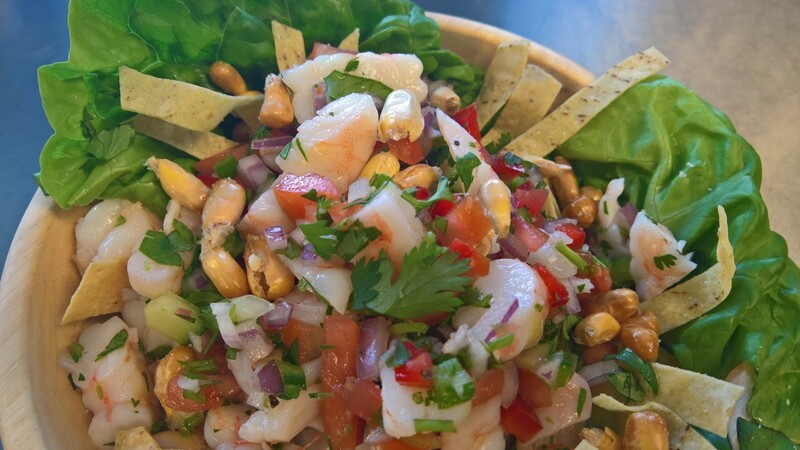 From fresh Shrimp Ceviche (pictured right) to a seared tuna nicoise salad, the new St. Somewhere menu caters to those seeking a guilt-free meal with a variety of nutritious appetizers, salads, sandwiches and entrees. Highlights from the St. Somewhere menu include Shrimp Ceviche featuring chilled shrimp marinated in fresh lime, red onions, tomatoes, jalapeno and cilantro served with tortilla chips; a Power Kale Caesar Salad with curly kale, romaine, quinoa, carrot ribbons and croutons –tossed in a ginger lime Caesar dressing; and Smoked Salmon Tartine with boursin bread, Bermuda onions, capers, shaved radish, and European cucumbers on grilled Naan bread. And the featured gelato of the day is the perfect way to end a meal or refresh on a hot, sunny South Florida day. Place all ingredients except shrimp in a pot and bring to boil. Once boiling, add shrimp and cook for two minutes. Chop the cooked and chilled shrimp and place in bowl. Add all the ingredients listed and mix until fully incorporated. 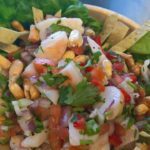 Cover and allow ceviche to marinate in the refrigerator for two hours. The new menu is available at Margaritaville Restaurant from 11:00 a.m. to 4 p.m. Overlooking the resort’s pool and beachscape, Margaritaville Restaurant is a two-story paradisiacal concoction with live entertainment offered nightly.